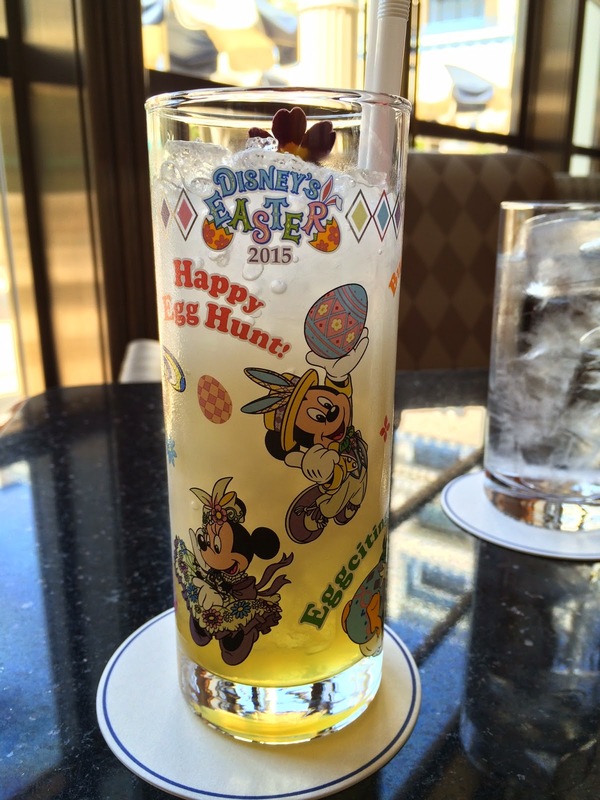 Besides Disney's Easter Dessert Set, we had a Disney's Easter Special Non-Alcoholic Cocktail at Hyperion Lounge. 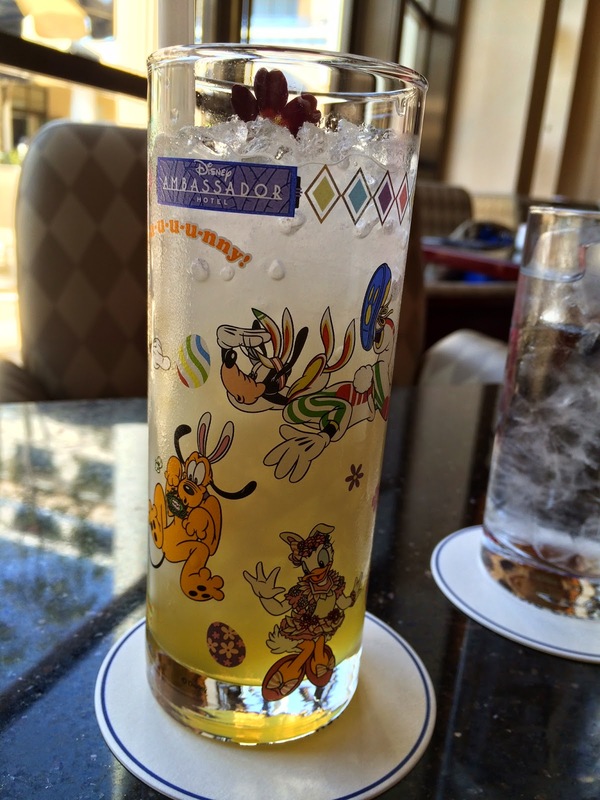 The cocktail comes with a collectable glass which will be given when you leave and will be a clean glass in a plastic container. 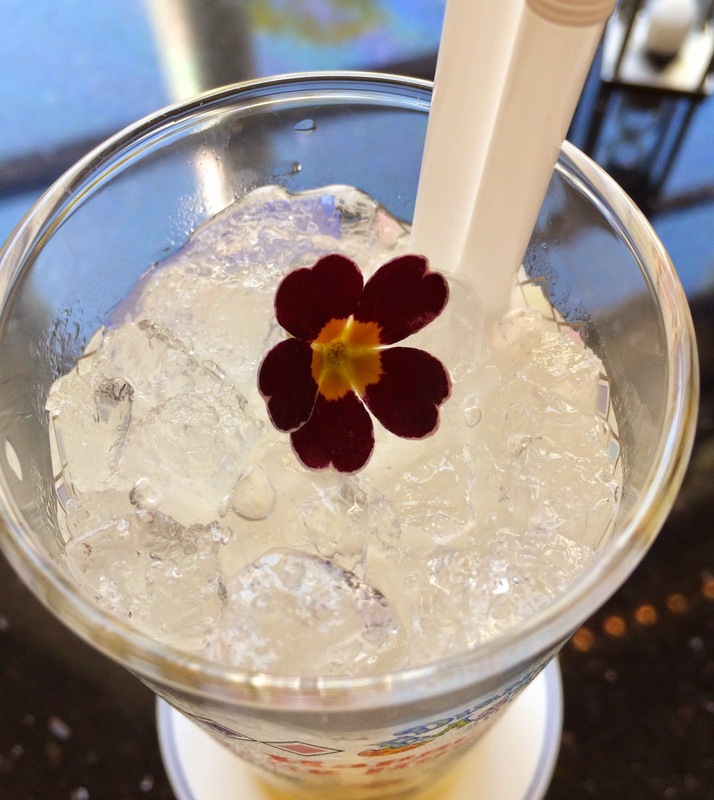 There's flower over the crushed ice. 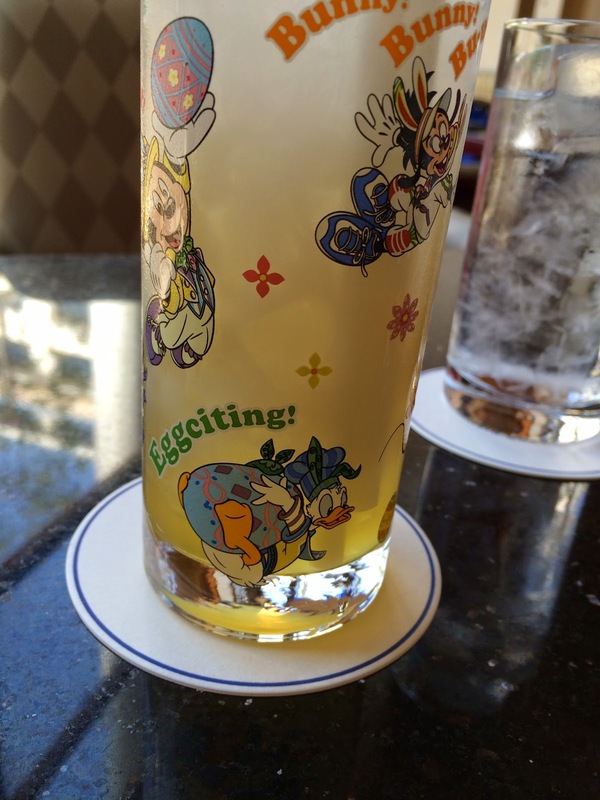 It's a mix of peach nectar, Calpico, lemon juice, passion fruit syrup and club soda. I tasted sweet peach nectar and passion fruit syrup, and also subtly sour Calpico. Though it's fruity and sweet, thanks to lemon juice and club soda, which is unsweetened soda, it's refreshing. 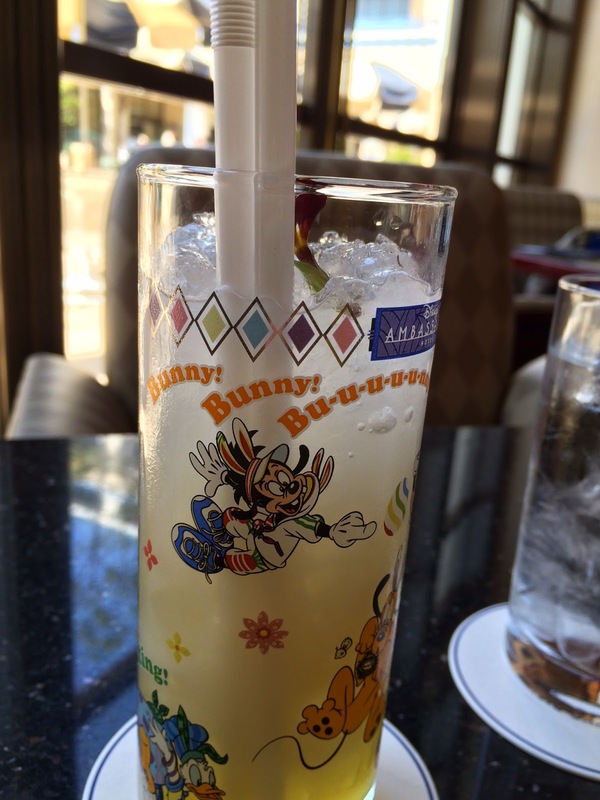 On the glass, there're Mickey, Minnie, Donald, Daisy, Goofy, Pluto and Max with bunny ears.